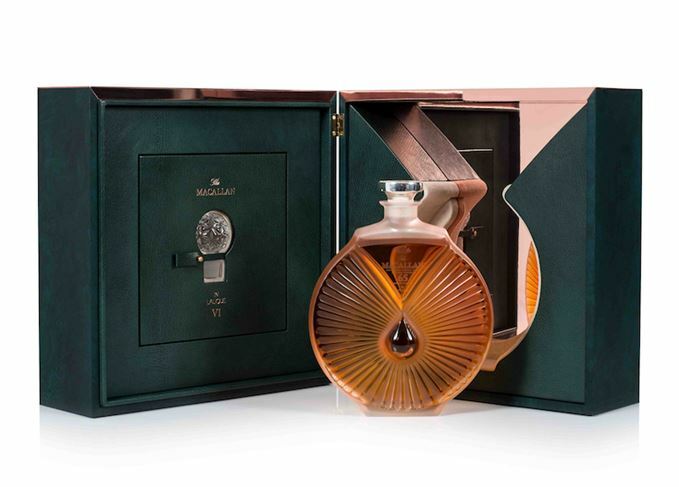 Macallan has unveiled the last part of its Six Pillars Collection in association with crystal maker Lalique: a decanter of 65-year-old whisky priced at £23,500. The ‘Peerless Spirit’ decanter is the final chapter in the collection, which aims to tell the story of Macallan’s foundation stones – the elements said to define the Speyside distillery’s character. Lalique creative director Marc Larmineaux based the decanter’s design on a single drop of Macallan malt whisky, captured falling from an inverted triangle – a feature found on every bottle of Macallan today, and first used in the 19th century. The decanter’s design was heavily influenced by the blown and pinched technique used by René Lalique for many of his perfume bottles; all of the decanters in the series have taken inspiration from a design or technique used by Lalique. Bottled at 46.3% abv, only 450 individually numbered Peerless Spirit decanters will be released. They will be on sale from 1 July at retailers including Harrods, Hedonism and The Whisky Exchange.